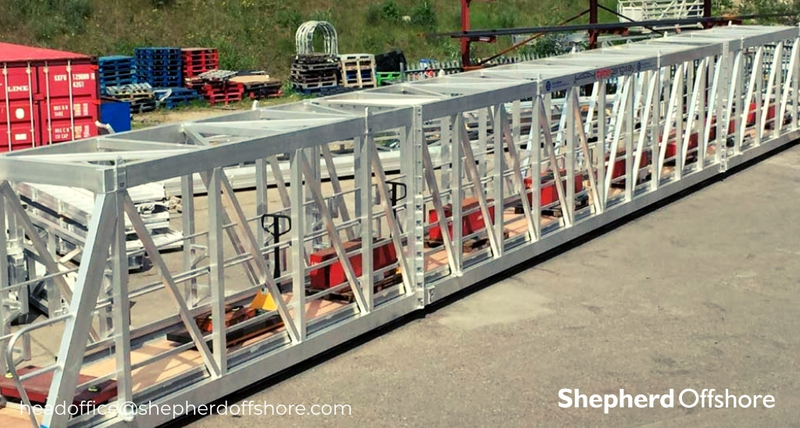 Shepherd Offshore currently has an aluminium gangway available for sale. It is best suited to the Marine industries, to facilitate the safe embarkation and disembarkation from vessels or barges. Manufacturer: Morgan Maritime & Engineering Services Ltd.